When a great newsman like Abdon Pallasch leaves the business, we’re all the poorer for it. But at least in this case, we just may benefit in a different way from the intelligence and insight he's always brought to his work in print and online. 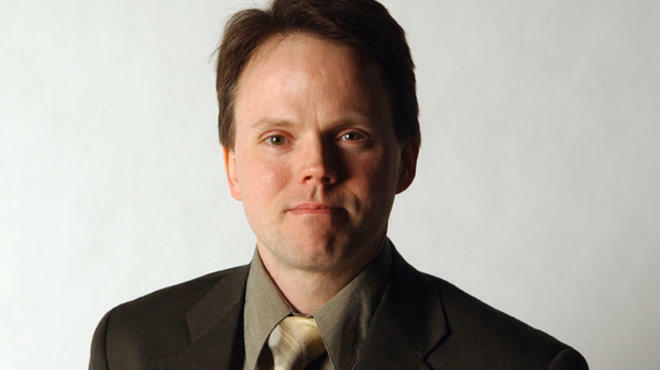 After 13 years as ace political reporter at the Sun-Times — and 25 years in journalism altogether — Pallasch, 46, is crossing over to work for Governor Pat Quinn as assistant budget director for the state. After taking a month off, he’ll start August 27. With a growing family to support, the salary boost won’t hurt, either. His new job pays $110,000 a year. And he’ll still be able to live in Chicago. Steeped in local news and politics, Pallasch grew up on the Northwest Side and graduated from the Medill School of Journalism at Northwestern University. After stints at Chicago’s City News Bureau, UPI and the Chicago Lawyer (along with a four-year detour at the Tampa Tribune), he joined the Chicago Tribune in 1998 and jumped to the Sun-Times the following year. “Few reporters have the kind of heart and determination that he brought to the job every day,” Sun-Times editor-in-chief Jim Kirk said of Pallasch. “And even fewer have the Rolodex of sources he carries. He was the reporter who was never satisfied, always making sure to make the extra call to try and get the story. That passion will be sorely missed in our newsroom. We wish him the best going forward." Pallasch called leaving the Sun-Times “a very tough choice,” adding: “I really like my job. I worked hard to get here. I think it's very important work we do, especially at election time to give readers the information they need to make informed choices. “Like most Americans who don't work for political action committees, I really lament the Balkanizing, fracturing, dismissive attitudes partisans increasingly take toward each other. I tried very hard in my reporting to do a balanced job reporting elections on policy disputes between the parties and to maintain a good rapport with Democrats and Republicans. I hope to do the same looking for budget solutions at the state,” he said.